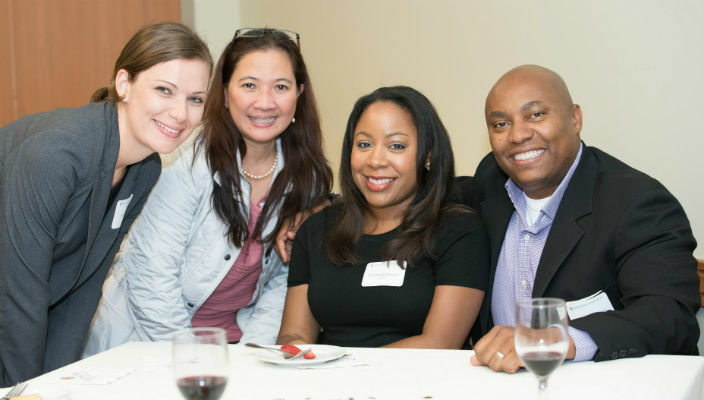 More than 80 alumni, faculty, and current students of the School of Health Sciences and Human Services’ Master of Health Administration (MHA) program recently gathered for an evening of networking at the University Club. 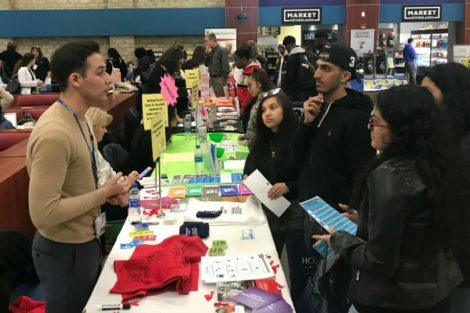 Many of the alumni who attended are employed in notable health management positions at leading institutions across New York City and Long Island, including Darren Deoraj, who graduated earlier this year and is now an assistant director at Gouverneur Health, an ambulatory care center and skilled nursing facility that is part of the NYC Health and Hospitals Corporation. HSHS Acting Dean Ron Bloom, who joined MHA Program Director Michael Gatto in welcoming attendees, said that alumni of the program have had a “major impact on healthcare delivery” in the metropolitan area. “Hofstra’s MHA graduates hold prestigious positions in all facets of health care management. What impresses me the most is the willingness of our alumni to mentor our current students in internship experiences and employ them after graduation,” he said. Also at the event was Carle-Marie Memnon, a 1998 graduate of the MHA program who recently came back to Hofstra to earn her MBA in 2013. As the associate director of graduate medical education at the Hospital for Special Surgery in New York City and a board member of the Healthcare Leaders of New York, Memnon said she considers both her degrees as an investment in her future. The MHA program features a 48-credit curriculum that draws from the expertise and resources of a faculty of senior administrative healthcare leaders in the School of Health Sciences and Human Services, the Hofstra North Shore-LIJ School of Medicine, and the North Shore-LIJ Health System to prepare highly-skilled professionals for successful careers in healthcare.